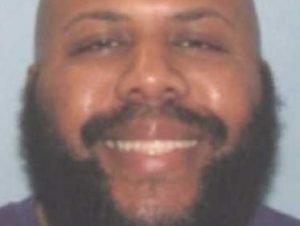 (NBC News) — The nationwide manhunt for Steve Stephens, the man accused of posting video of a murder to Facebook, ended Tuesday when his body was found in a vehicle in Erie, Pa., police said. Pennsylvania State Police confirmed in a tweet that Stephens had been spotted by Pennsylvania State Police Tuesday morning. After a brief pursuit, police said Stephens shot and killed himself. On Sunday, Stephens posted a video to Facebook that allegedly showed him shooting and killing 74-year-old Robert Godwin in Cleveland. There had been no sighting of Stephens since the killing at 2 p.m.